Today marks the beginning of my Music Festival Series! In case you missed my last post about it, I will be going to my first music festival this year in Washington (Sasquatch Music Festival). I am so excited about this festival that I came up with this series of tutorials, music, and giveaways, all surrounding the idea of the music festival scene. Get ready for some awesome tutorials, giveaways, and music this month! 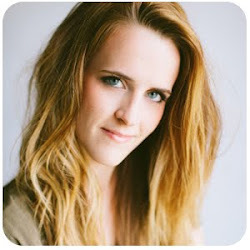 First off, congrats to the winner of last week's Style Lately Giveaway, Katie Carton! The first "music festival" look I created is for a messy twist, plus to go along with it I'm going to share some of my favorite music from The Tallest Man on Earth, and you won't want to miss the giveaway from Pixie Market. 1- Beginning on wavy or second day hair, sweep all of your hair over one shoulder. 2- Starting off your part, take a medium size section and split it in half. 3- Take the front piece and cross it over the back piece, bringing the back piece to the front. 4- Add a new section of hair to the new front piece, making it thicker. 5- Now cross the pieces again, taking the front piece over and the back piece under. 6- Continue this process of twisting the sections and adding hair down your hairline, creating a twist braid. 7- As you braid down be sure to keep the braid close to your face, resting near your hairline. As you get past your ear start taking bigger sections. 8- Finish with a normal twist braid. 9- Secure the end with a clear elastic. 10-Finish by gently pulling on small sections to loosen the braid and make it messier. You probably guessed that I am a huge music lover from the fact that I am going to a music festival this year. The Tallest Man on Earth is one of my favorite musicians. If you like folk music, you will fall in love with this Swedish man. Watch, and enjoy! This week Pixie Market is giving away this $200 floral bag, perfect for a music festival. Be sure to check out Pixie Market if you haven't already. They have a ton of great stuff. 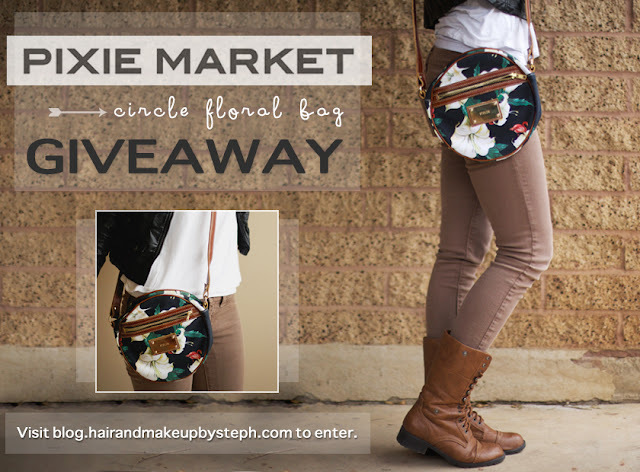 1 - Pin about this giveaway to Pinterest using the graphic above, using the hashtag #pixiemarket. 2 - Follow Hair and Makeup by Steph's blog by clicking "join this site" or "follow by email" in the sidebar. 3 - Follow Pixie Market on Facebook. 4 - Comment on this blog post with your first and last name. Contest ends on Sunday April 7th at midnight.